As their name suggests, White's tree frogs live almost exclusively in trees close to water. They have the ability to change colour from green to brown to blend in with their background. White's tree frogs breed in the rainy season and spend the dry season in a cocoon of shed skin and mucus. They store water in their loose folds of skin for times of drought. 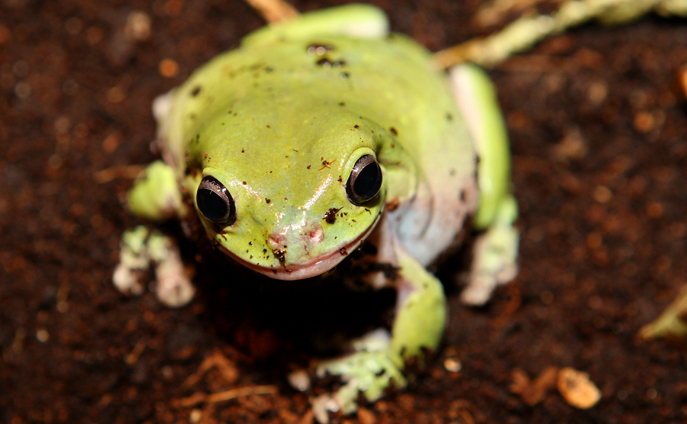 White's tree frogs produce a skin secretion which can treat high blood pressure in humans.